Life On Flow. – Page 2 – freedom. legacy. overflow. worship. By now, you probably know that I make music about my relationship with God. It doesn’t always sound like politically correct evangelism, but I’m unapologetic about that because I believe it’s impossible to encourage someone else to have a relationship with God, through Christ, without a personal relationship with Him. With that, I just want to share an abridged version of a story of an experience I had with God some years ago that changed my life forever. Long story short, I was 19 and attending a conference with my dad, brother, and several men from my church. Up until that point, I was what you might call a ‘follow all the rules’ type of guy. I did as was told because I liked staying out of trouble. I knew all of the bible stories and could regurgitate information at request. I was active at my church. But one particular night of the conference, during a time of prayer, the presence of God consumed me. It was REAL. It was tangible. It was overwhelming. It was HEAVY. It was warm and intense. It felt so good. It wasn’t emotion, but I did respond emotionally because of how it felt. Most of all, it totally changed my life. For that reason, I no longer go to church because it’s ‘right’…I go to church to seek more of God. The Bible is no longer just a book of good morals. It’s a living, breathing document. Once you find out that God is real, it changes EVERYTHING. Don’t knock Him until you try Him. Take it from me. It’s not worth it to do the ‘Christian’ thing just to feel good about yourself or to please someone else. When I tell you there is more to it, I PROMISE you, there is MORE. As an artist, I am inspired by good art…period. Music, painting, dance, etc., you name it. In the 21st century, good art seems harder to come by. The era of the ‘hit record’ has all but gone away, and often times, music seems more cookie cutter than ever. Personally, it’s difficult for me to really enjoy it if it doesn’t speak to my heart. Now I understand that this is a non-typical review for me. Kendrick Lamar is obviously not a gospel recording artist, and the content of his music is not always something that I would be cool with my daughter listening to. But I was honestly attracted to his music for one reason…I could feel it. There was something about it that made me feel his heart and his passion…for his city, the friends left behind and the regrets that followed his rise to fame. To Pimp a Butterfly is a sprawling mix of funk and jazz with tons of emotion sprinkled throughout. Kendrick Lamar is obviously very passionate about Compton, and in this album he displays a very obvious conflict of interest between his family and friends back home, and the myriad opportunities presented by his success in the music industry. The most popular single, “Alright”, speaks directly to the complicated relationship of young black men and law enforcement from the eyes of the former. It’s a controversial point of view, but let’s face it. The story needs to be heard. Kendrick’s ability to use lyrics to bring the listener into the story is exceptional. Which brings me to the real point I wanted to get to. I often wonder if my music comes across in a way that someone can understand and feel deep in their inner man. I keep wondering what would happen if all music from the body of Christ had a similar impact. Can I be very honest? I’ve gotten discouraged sometimes when I’m looking for music to edify my spirit, and when I turn on the radio, I hear the same old cliches with the same old format, seemingly copied and pasted together with the hit record format. The ‘artist’ side of me gets frustrated, because I truly believe that the Lord created music as an art form and gives us gifts to use it, not just for hit records, but so that our music can change the world. Now I’m not here to worship Kendrick Lamar or even personally condone every single lyric, but I admire the dude. I admire anyone who takes something they’ve been gifted with, pushes creative boundaries with it, and uses it to the best of their ability and ultimately for the good of their community. Shouldn’t we do the same with our own gifts? As a consideration for all readers, I am not necessarily encouraging you to buy this album or any music that might be offensive to you. I’d encourage you to do whatever you feel is okay and right for you. The point of this review is merely to challenge musicians and artists like myself to dig deeper with our own craft. Thank you. Seriously, guys. 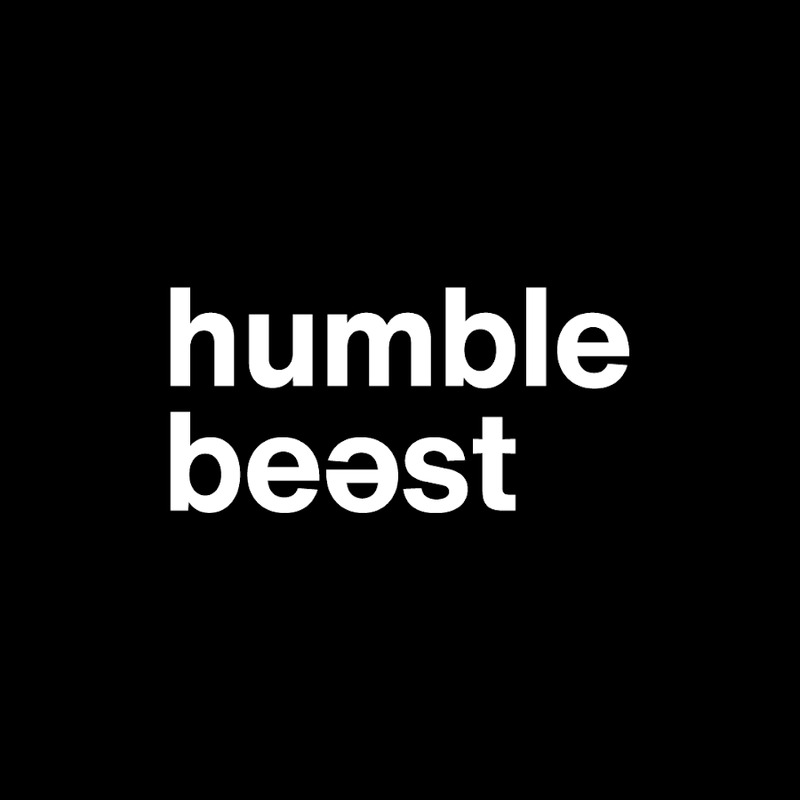 Please check out Humble Beast. I’m still scratching my head wondering why such a talented record label would give away such great music for free. They go by the principle “Freely Received, Freely Given”. Now of course, you can buy their albums from iTunes, but you can totally download them for free as well. At first glance, I wondered if this was a good ‘business move’. Then I realized the heart with which these guys are operating. And it has seriously inspired me. Take a listen to their music, and please consider supporting them with a monetary gift. It’s so worth it.